You might just find that a speedboat & ferry trip to the beautiful Koh Kradan will be the top memory of your vacation to Thailand! 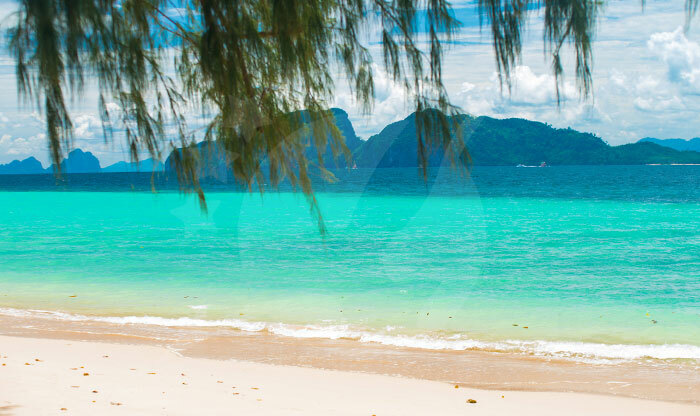 Arriving to the silver sands of Koh Kradan by speedboat & ferry, witness the archepelago of islands as you sail by them. 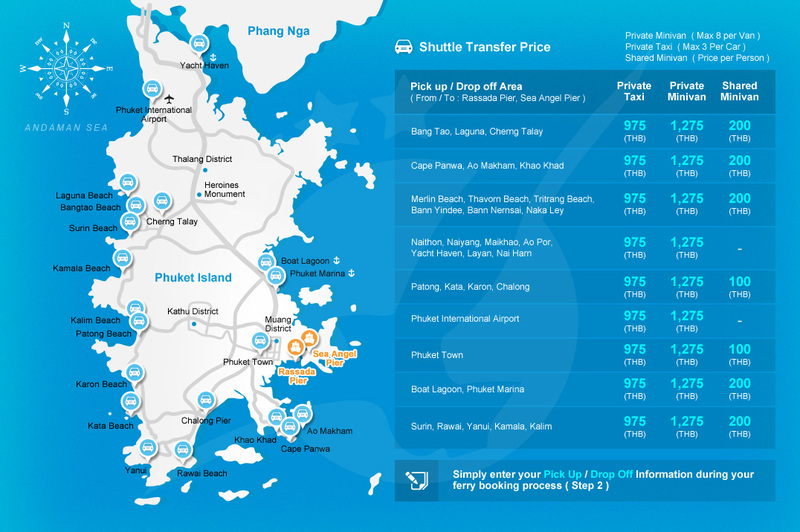 The whole island-to-island speedboat & ferry experience is amazing, and with phuketferry.com it really is so simple to get there! The 130-plus passenger ferries that set sail to each island shore are great. The whole experience is a really pleasurable one. Koh Kradan... Read MoreYou might just find that a speedboat & ferry trip to the beautiful Koh Kradan will be the top memory of your vacation to Thailand! 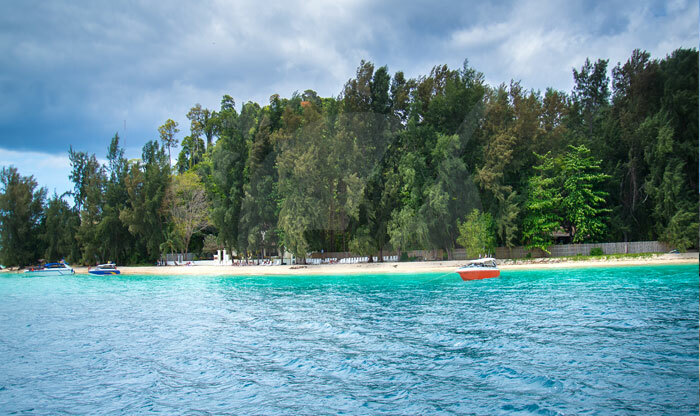 Arriving to the silver sands of Koh Kradan by speedboat & ferry, witness the archepelago of islands as you sail by them. The whole island-to-island speedboat & ferry experience is amazing, and with phuketferry.com it really is so simple to get there! The 130-plus passenger ferries that set sail to each island shore are great. The whole experience is a really pleasurable one. 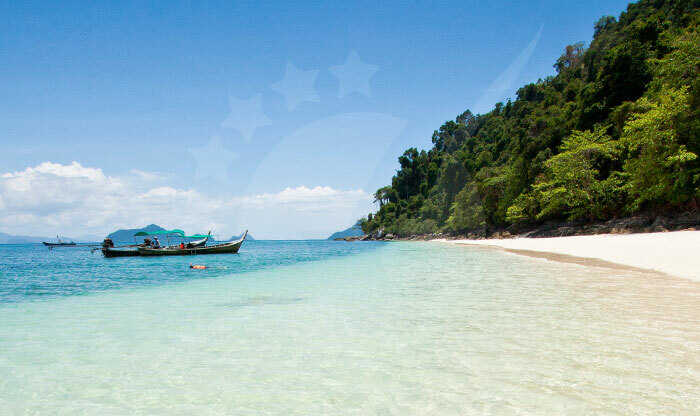 Koh Kradan is reknown for its amazing beaches and crystal clear waters, which you can see so well as your speedboat & ferry gently reaches the island's shoreside. Everything is laid back on the island, so just lay back on the ferry as you make your way to Kradan, and you'll be in the mood for special times once you are there! Speedboat & Ferry travel from koh Kradan to Phuket takes about 3:30 hours, to Phi Phi, just 2:30 hours, and its just 90 minutes to Koh Lanta. Ferry travel to other destinations are follows; Koh Ngai (30 minutes), Koh Mook (30 minutes), Trang (60 minutes), Koh Lipe (3:30 hrs), and Langkawi (5:30 hrs). Koh Kradan - Beauty in balance. 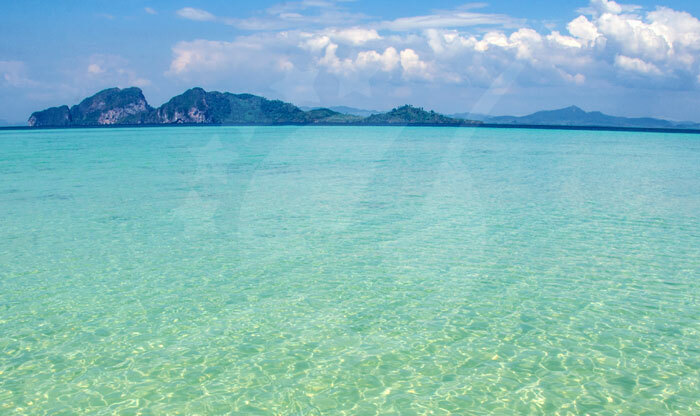 Many travellers who visit Koh Kradan leave believing they have seen a piece of paradise. 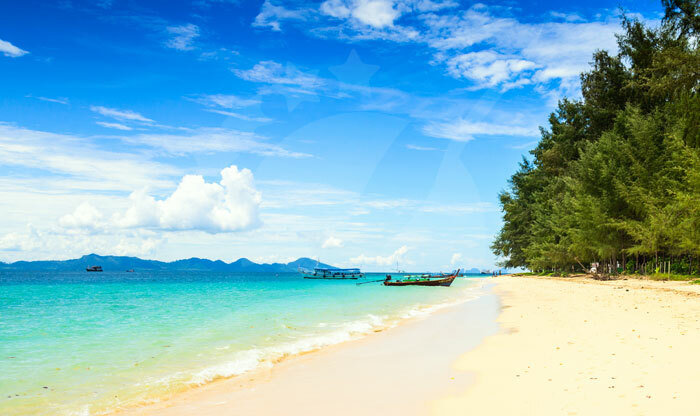 The island sits inside the protected Trang National Marine Park, and is well known for having some of the best and prettiest beaches in all of Thailand. Koh Kradan is also a first class snorkeling area, with a coral reef running approximately 1 kilometer in length that is home to a myriad of species of fish. Koh Kradan is also full of green rolling hills that can be explored on small trails, and a small ten minute hike from the main beach on the east side will take you past the Paradise Lost Resort to some rocky coves on the west side for some of the most stunning sunsets you will ever see! Koh Kradan is most definately an island you will want to see, and one that will leave you with some really pleasant memories. The beaches, crystalline waters and coral reefs may be enough for some, but for the adventurous there is more to see on the beautiful island of Koh Kradan. As mentioned above, a walking trail that runs from the east to the west of the island will give you snapsots of what the sun sees on a daily basis as it rolls around heaven overhead (poetic license taken). And keep your eyes peeled, because you may just spot a soaring sea eagle or a colorful kingfisher, and Koh Kradan is home to dozens of butterfly species too. Then at twighlight and beyond on the beaches it seems like all the little crabs come out for a party. Take a flashlight and watch them dancing and sidestepping all around! 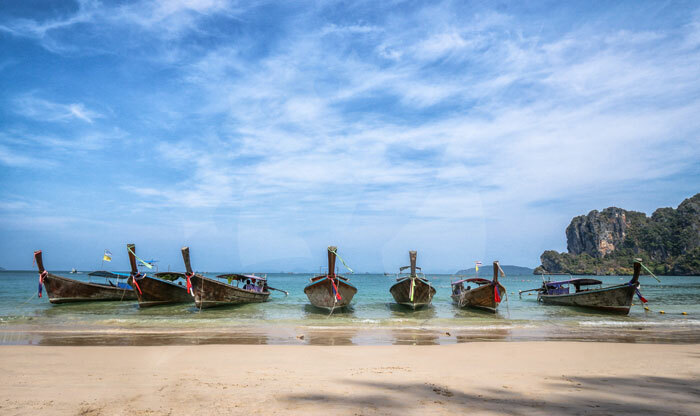 Complete with the clear turquoise waters and coral beds, Koh Kradan has some of the most splendid beaches in Thailand, so it's not surprising to imagine tourists and travellers sailing up to her shores, finding a spot on the white sands and remaining there till sunset. The sea is perfect for swimming, the sea bed is kind on the feet, and at low tide it's possible to walk and wade out quite far. All very romantic and idyllic. Take a snorkel and head out to the coral reef where you might find a lionfish and a sea turtle or two, because this is a great place for water exploring. Also, it's possible to hire a kayak and adventure round to Sunset Beach on the west side, or even further to some great little coves and hideouts. Splendid stuff! 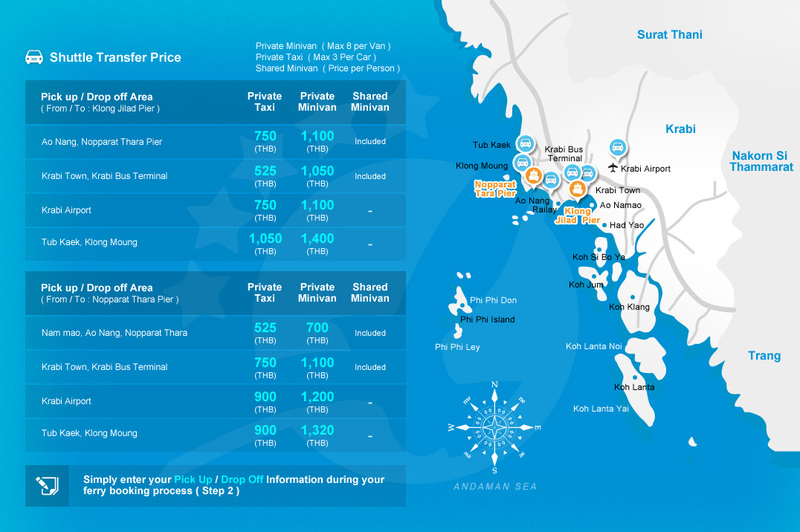 Koh Kradan - Staying Overnight? 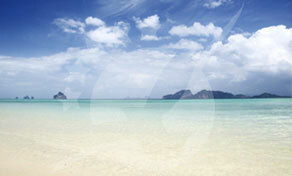 Over three quarters of koh Kradan's 600 acres is a national park, and so is protected from development. 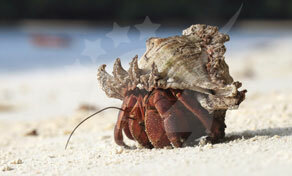 Of course this enhances the island's natural beauty and may it long remain the case! However, a few basic but nice little straw/wooden bungalow resorts have emerged over the years, much to the delight of those who might fall in love with Koh Kradan and want to stay at least one or two more days! One such place, the Paradise Lost Resort has been well reviewed and is set amidst nice gardens, with simple amenities and an ex-seafaring owner with a jovial character and no doubt a story or two to tell of this island in the sun since he arrived a good few years ago and made Koh Kradan his home. Yes, believe it or not Koh Kradan actually holds a place in the Guiness Book of Records for having the world's "largest underwater wedding" (well if you're going to get married on a paradise island, why not underwater)! Since the year 1997, every year especially on Valentines Day, couples have headed for the waters of Koh Kradan and submerged to approximately 12 meters below sea level - and tied the knot! Well actually, they don't arrive together. In true wedding tradition, the bride enters the sub-aquatic venue to the sandy bed below amidst a supporting cast of a thousand tropical fish (we assume), to meet her husband to be and the wedding official where "two become one". We believe that the certificate is signed later!